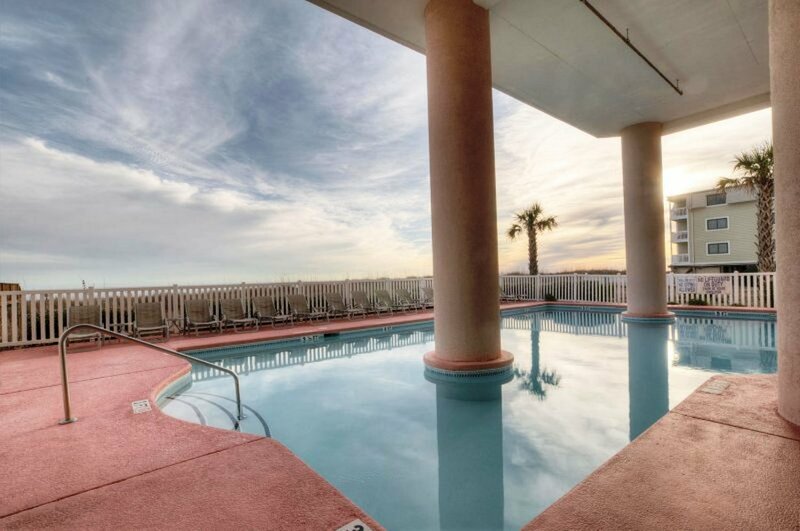 Offering unobstructed views of the Atlantic Ocean, Laguna Keyes 1105 is a dream vacation property. 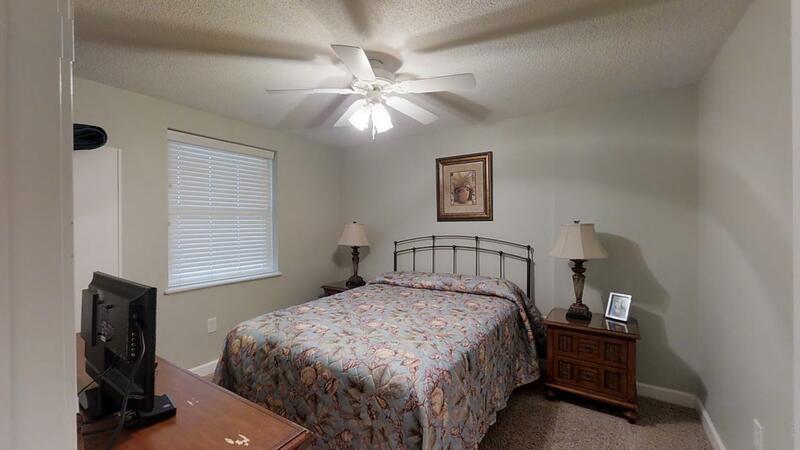 Able to sleep from 8-10, it has 3 bedrooms and 2 full baths. 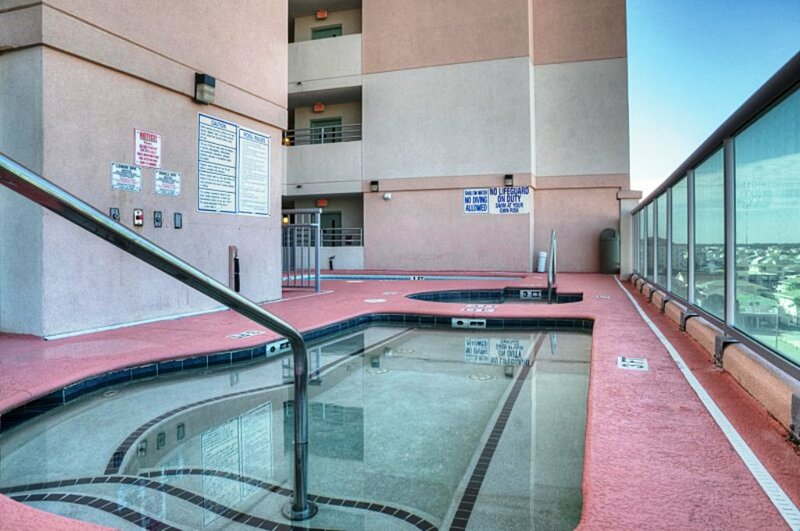 When lodging here, you’ll be wowed from the moment you walk into its doors. 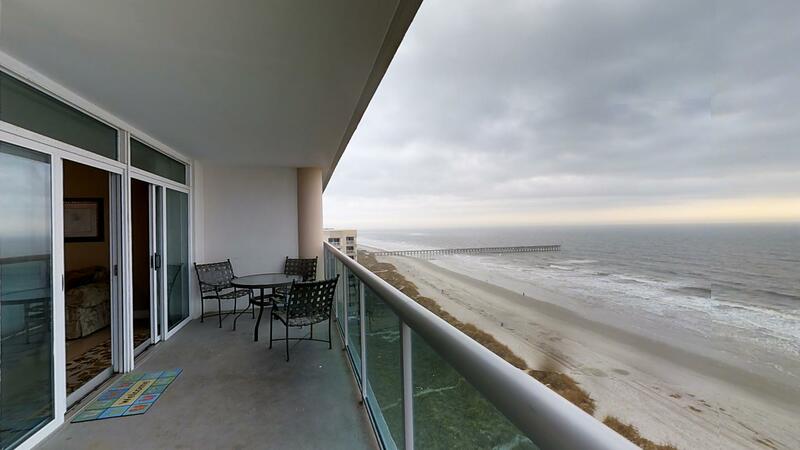 From its panoramic views of the beach to its neutral but stylish décor, this property is spectacular. 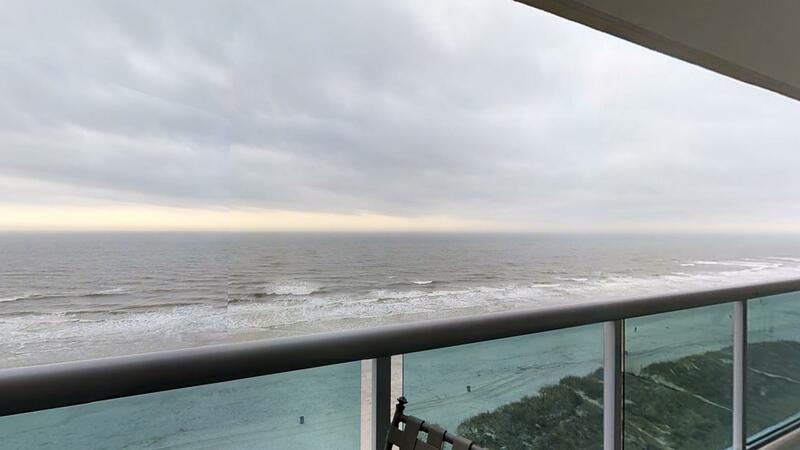 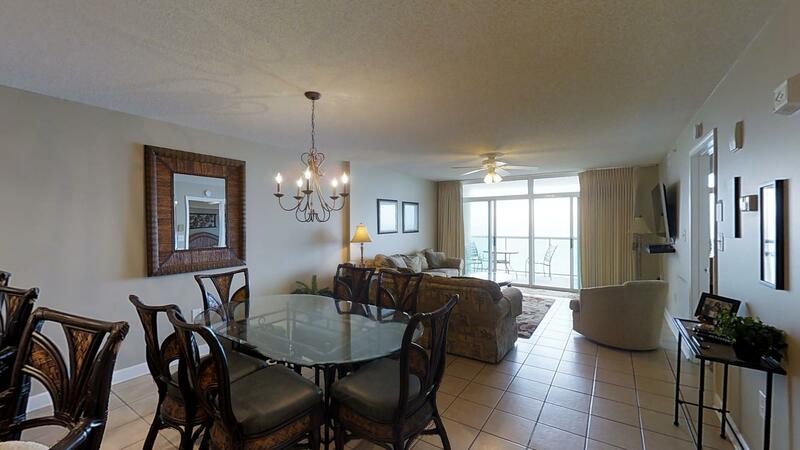 To better enjoy the sites and take advantage of the oceanfront experience, this condo is equipped with a glass balcony. 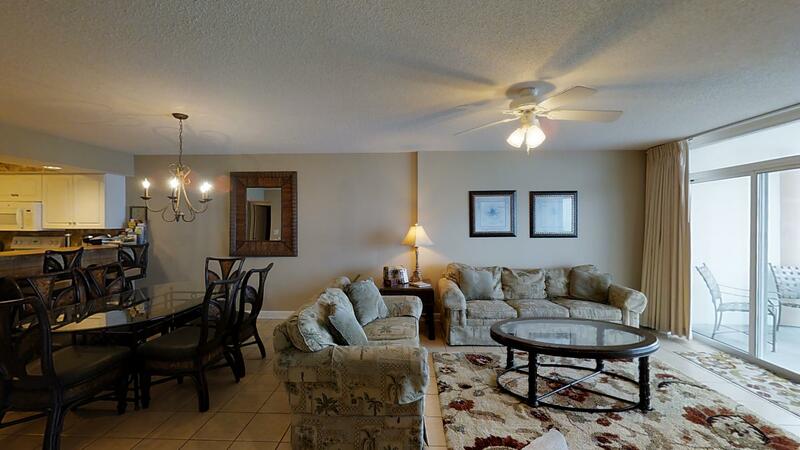 Its 3 bedrooms are set up for multiple guests. 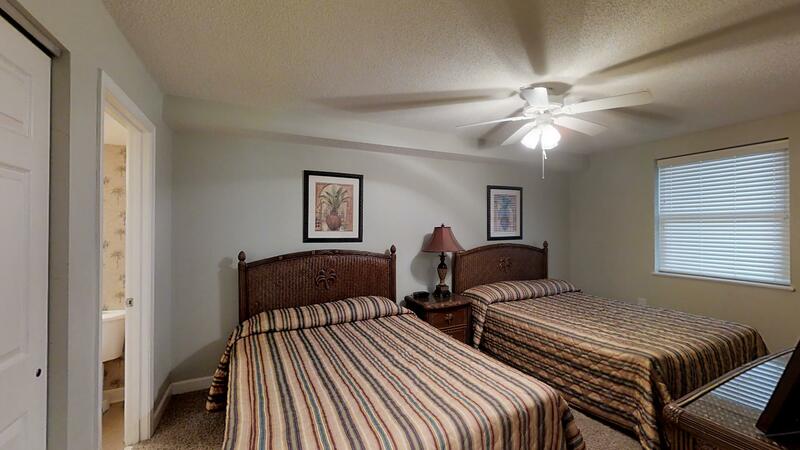 A master suite features a king size bed while the other rooms offer queen beds. 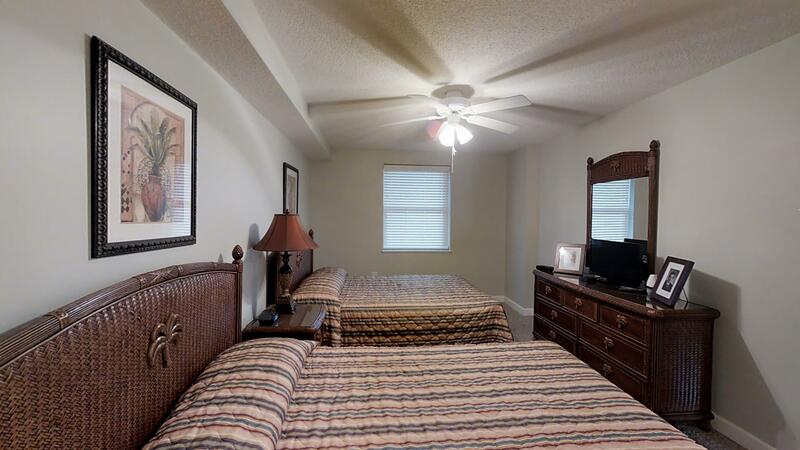 If additional sleeping space is needed, you can simply pull out the sofa bed. 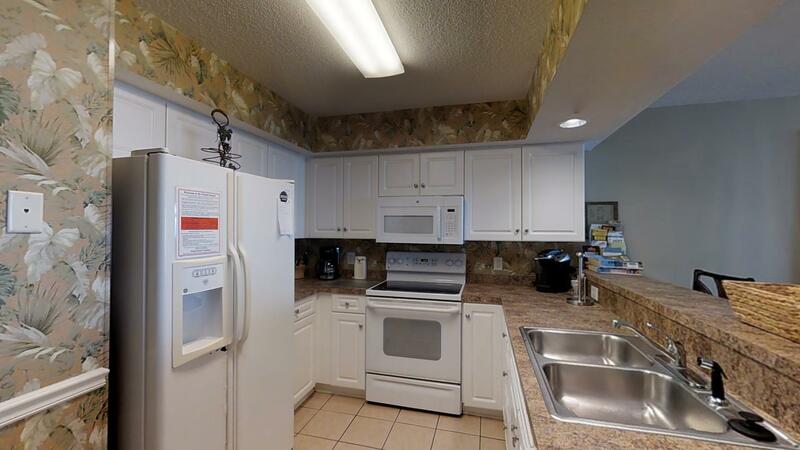 With a fully equipped kitchen, preparing meals is also a convenience offered with this property. 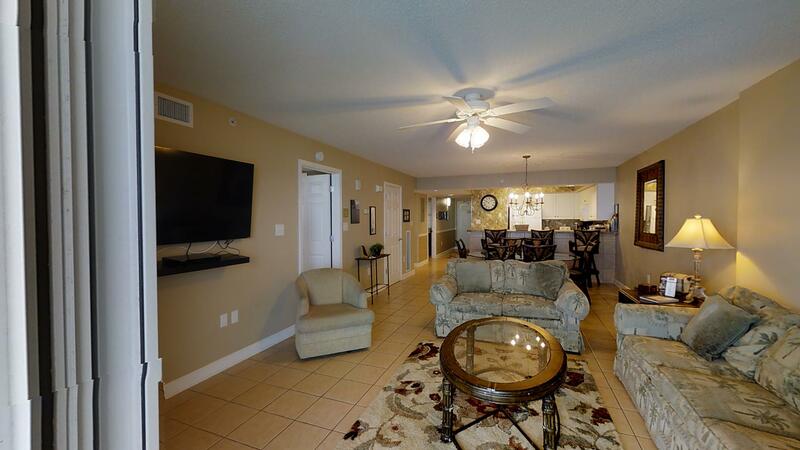 After dinner, gather in the living room with popcorn and cocktails to enjoy a movie on its 55” LED TV and Blu-Ray player. 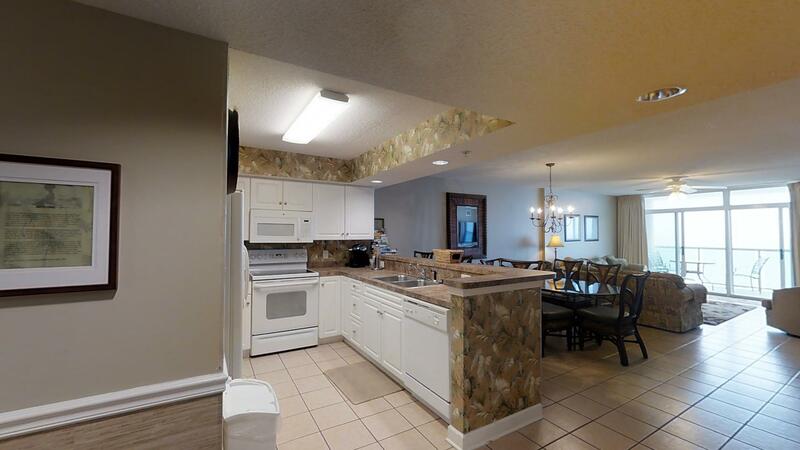 Other benefits of Laguna Keyes 1105 include an onsite washer/dryer, central heating/air conditioning and wifi. 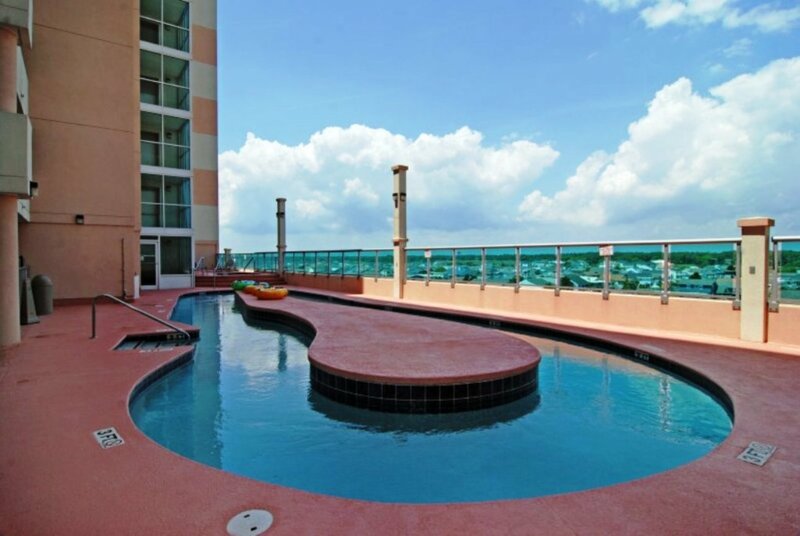 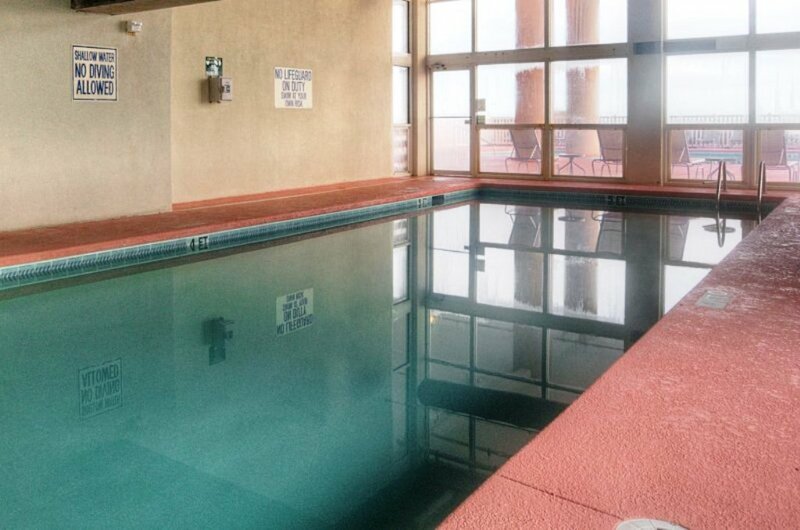 Part of a luxurious condominium community, this property provides an array of amenities including a swimming pool, hot tub and a fun lazy river for added water fun. 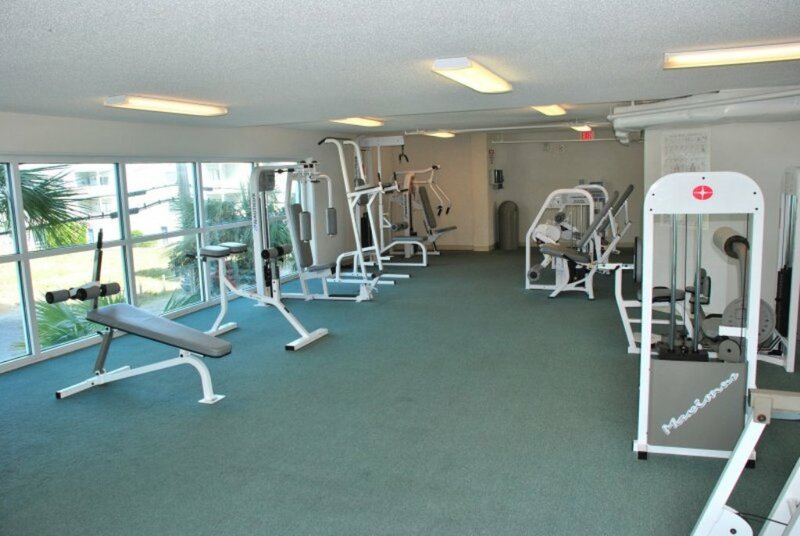 You’ll also be able to keep up with your workout routine in its modern exercise facility. 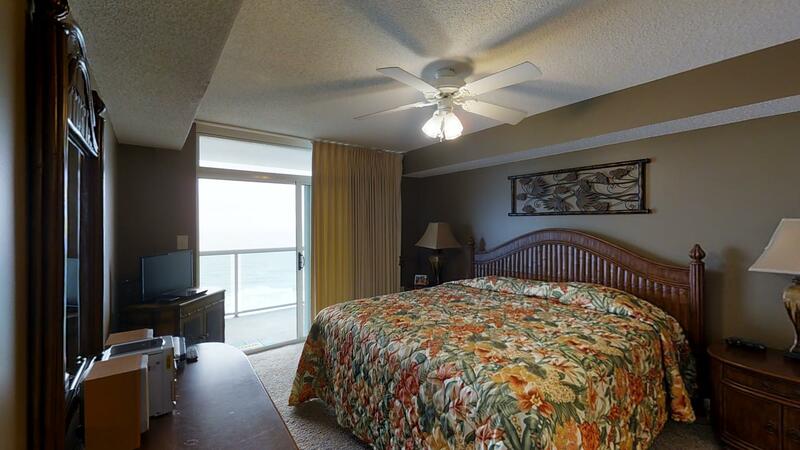 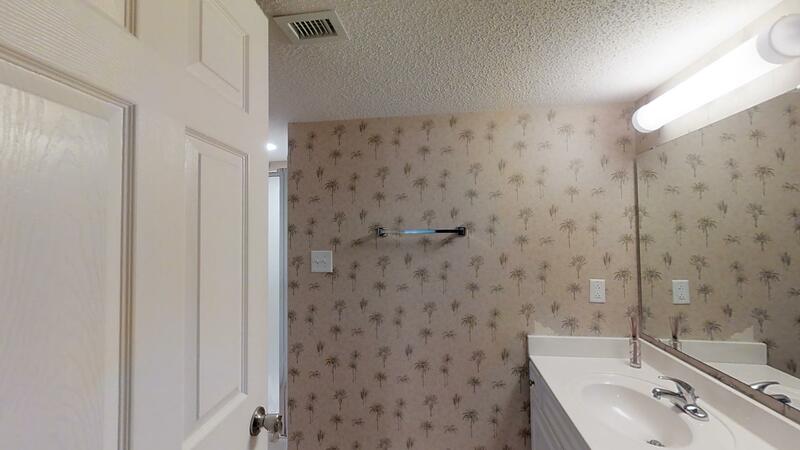 Located in Cherry Grove, this property is a short drive from restaurants, shopping and sports bars. 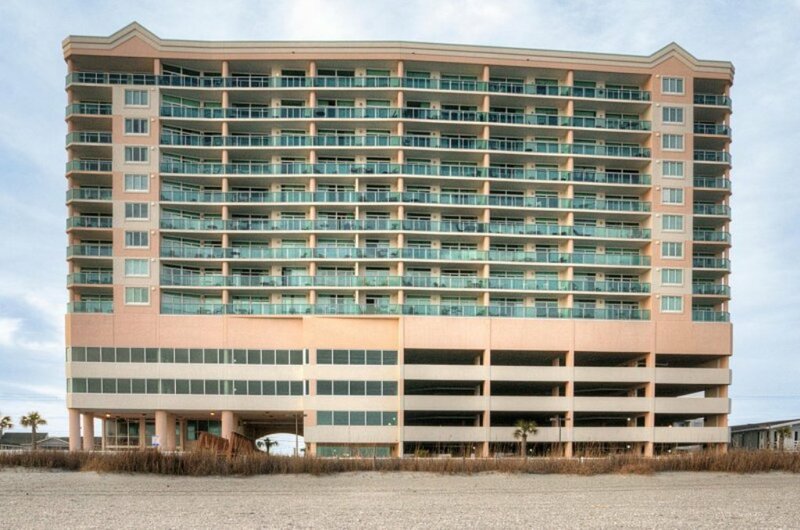 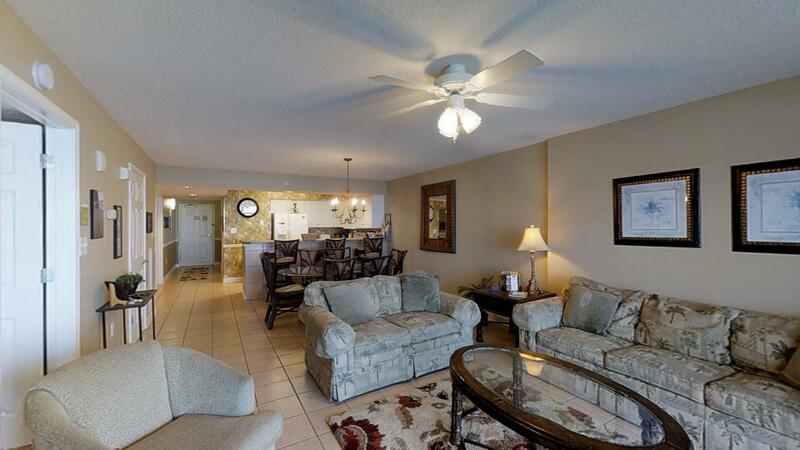 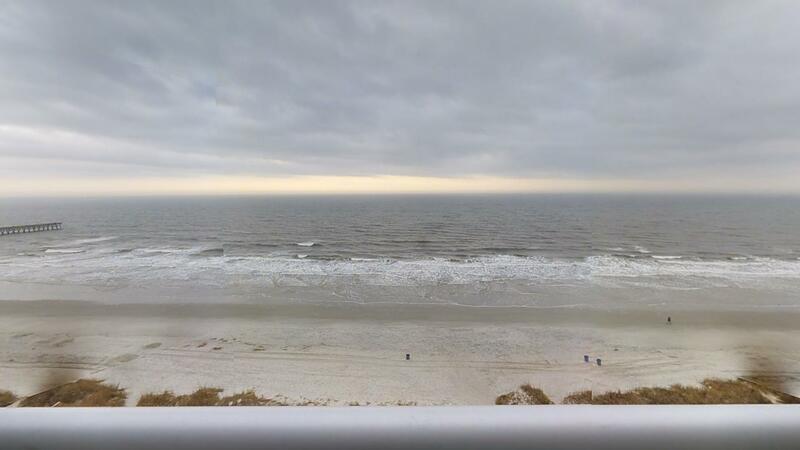 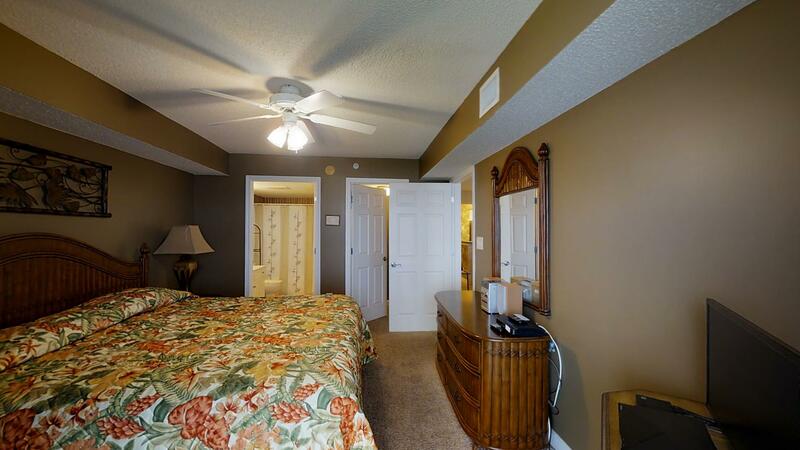 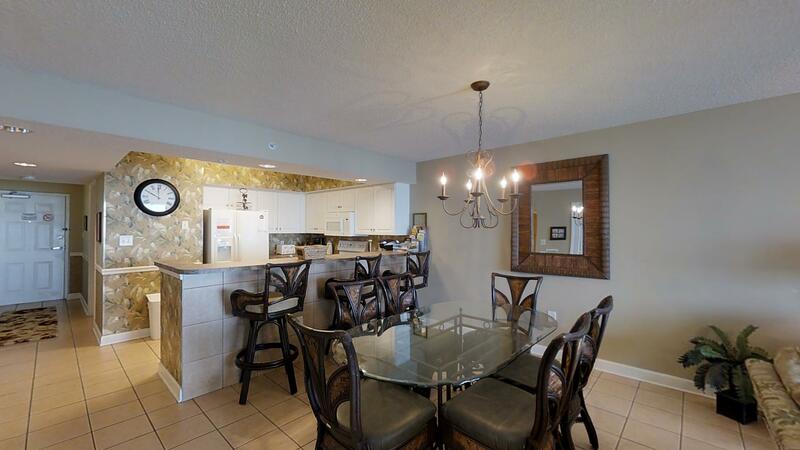 Call today to book this property for your next North Myrtle Beach vacation.